Leaders tell teachers that they need to use more technology. For the most part, teachers will do anything with the right support. When it comes to technology, however, teachers are often the ones left behind. 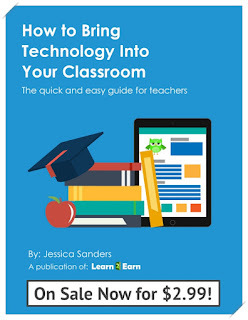 Jessica Sanders addresses this issue in her book How to Bring Technology Into Your Classroom: A Quick and Easy Guide for Teachers. By addressing the most relevant issues teachers face when integrating technology, Sanders has developed a thoughtful program on the shoulders of experience. The mindset and checklists are reflective of experienced edtech integrators. As I scrolled through these chapters, I could hear the questions I've fielded from teachers who struggled to use technology. The suggestions Sanders presents reminds of the choices that worked well for teachers who gave such a great effort toward doing more with the tools within their reach. Here's what you may learn from each chapter, mixed a few of my thoughts. 1. Who's Doing the Work? If technology is stressful or feels foreign, ask your students or colleagues for help. Avoid thinking that you need to do every activity with a digital tool by starting with one thing. Choose something that cannot be done with paper alone. Use the new tool to take your classroom beyond what's possible without it. Connectivity was one of the things that I struggled with early on in my journey of integrating technology. It's still a challenge, but you get better at making adjustments or talking students through problems. Sanders suggests to consider the choice of devices, tech support, and a tech learning community. Until you're comfortable using a variety of devices, I suggest trying new tools in a computer lab or with a device that you're comfortable troubleshooting and that each student can use for the activity. I believe Kyle Pace called it "Sandbox Time" during one of his presentations. It's important to simply mess around and click on things to see what happens. 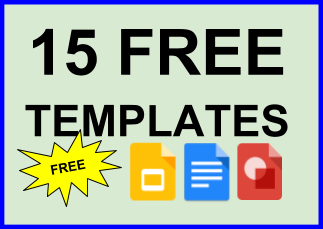 Create a sample group or student test user if you can't see what the kids can see. This guide has a few very helpful printable checklists, including one for organizing notes as teachers test new tools. Stick to your learning objectives. I wouldn't look for something that features me in the driver's seat (see Chapter 1). Think of a product that you want the students to make that demonstrates their achievement of the learning objective. Just make sure that it's a tool that takes the product beyond the potential of what you would do otherwise (also Chapter 1). Sometimes we need to slow down to speed up. I can't tell you how much time and energy can be wasted by trying integrate too many tools. From time to time, I ask myself if we can live without the tools we're using. Whichever tools consistently earn a "no" are let go. Being flexible is about being aware of your limitations both personally and logistically. Sanders does a nice job introducing strategies that address the kinds of issues we encounter as beginner and advanced users of edtech. This is the chapter to reread when you feel like you're wasting valuable time. Measurement is one of the tasks that teachers must do well to succeed in the profession. It's the easiest way to distill an experience into a yes or no judgement. The list of questions and issues to consider in Chapter 7 would be particularly helpful for setting and measuring goals for the formal teacher self-evaluation process. This perhaps the most important step. I have a blog for reflection and sharing student student successes. It's been great for collecting evidence for evaluation. Most importantly, it's the best way to communicate with parents and establish a wider audience for the work your students produce. Choose from these links to get your copy.